THINKING OF CEMENT RENDERING YOUR HOUSE? NEED CEMENT RENDERING OR WHITE SETTING SERVICES FOR YOUR PROJECTS? professional service so you can have a pleasant experience with us. White Surface Plastering takes every step of the job seriously. 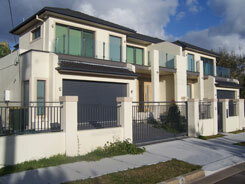 Our cement rendering and white setting service will be completed to your full satisfaction. You will be impressed with our beautiful finish. We will co-ordinate with you the best time to visit you and assess the task free of charge. Contact us seven days a week, 7am-7pm. We will give you an “on the spot” no obligation free quote. a pleasant experience for you. Our Professional Service and Beautiful Finish will make you feel confident you made the right decision in trusting White Surface Plastering.